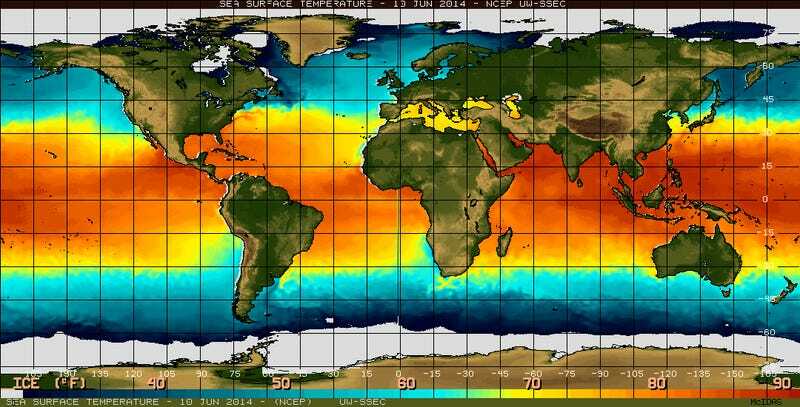 Ask An Expert All Your Questions About El Niño! Mike Halpert, from NOAA's Climate Prediction Center, is here today to answer our questions about El Niño, how its forecasting process works, just how likely we are to see El Niño come up again this year, and what that might mean. Image: Sea surface temperature in the equatorial Pacific Ocean / NOAA. The latest prediction from the Climate Prediction Center put the possibility of El Niño arriving by this summer at 70% or by this fall at 80%. Halpert is the Acting Director NOAA's Climate Prediction Center (CPC), where he's also a member of the El Niño/ Southern Oscillation (ENSO) and seasonal forecast teams. He led CPC's real-time climate monitoring efforts throughout much of the 1990s and their forecast operations between 2002 and 2007. His research also focuses on climate variability and climate prediction, including El Niño impacts around the globe. He'll be joining us from 10:00 - 11:00 a.m. (Pacific time) today, so start asking him questions now about El Niño, the forecast for this year, and just how it all might play out around the globe.